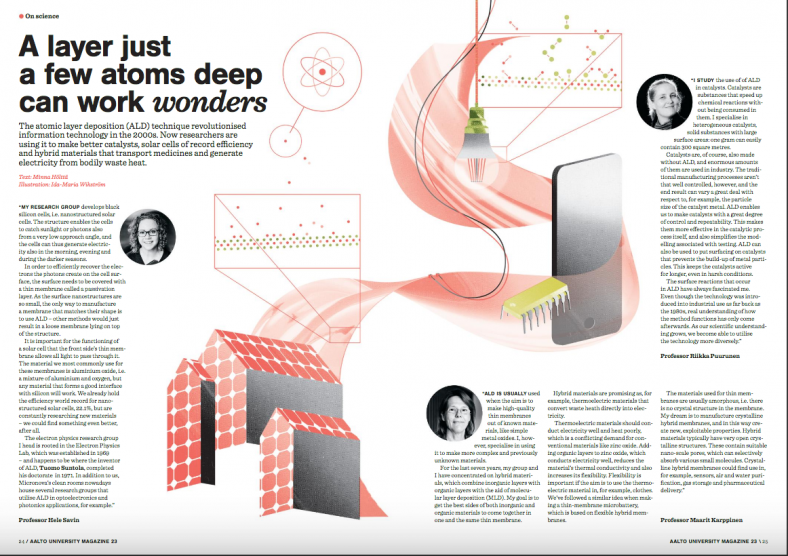 Read full story in Aalto University Magazine 23. 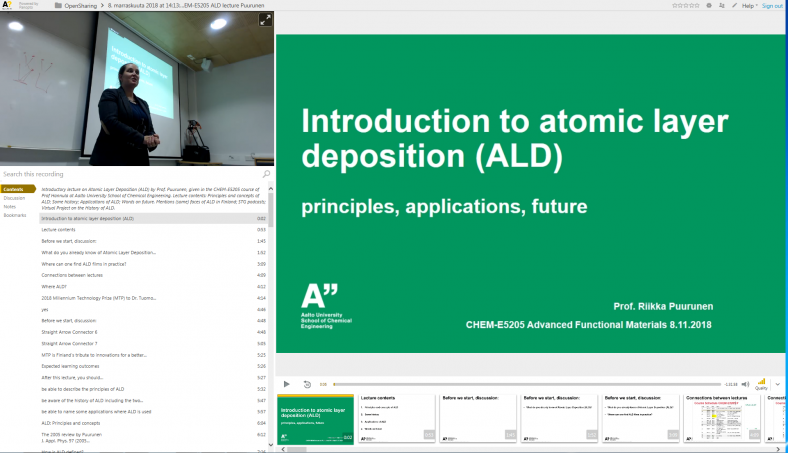 It was an honour to be interviewed on atomic layer deposition (ALD) along with Prof. Hele Savin and Aalto Distinguished Professor Maarit Karppinen. Plus next page: Millennium Technology Prize 2018 winner, Dr. Tuomo Suntola. In May, the 2018 Millennium Technology Prize was awarded to Dr. Tuomo Suntola for Atomic Layer Deposition. Once more, congratulations to Suntola for the extremely well deserved prize, and thanks to the international community for the broad support behind the nomination. Below, a photo from the prize gala event with professor emerita Outi Krause, Dr. Tuomo Suntola, and the undersigned (Twitter), and a slide I made to show (Twitter) at the yearly international ALD 2018 conference, this year held in Incheon, Korea. More information in the ALD History Blog, directly http://aldhistory.blogspot.com/search/label/MTP2018. 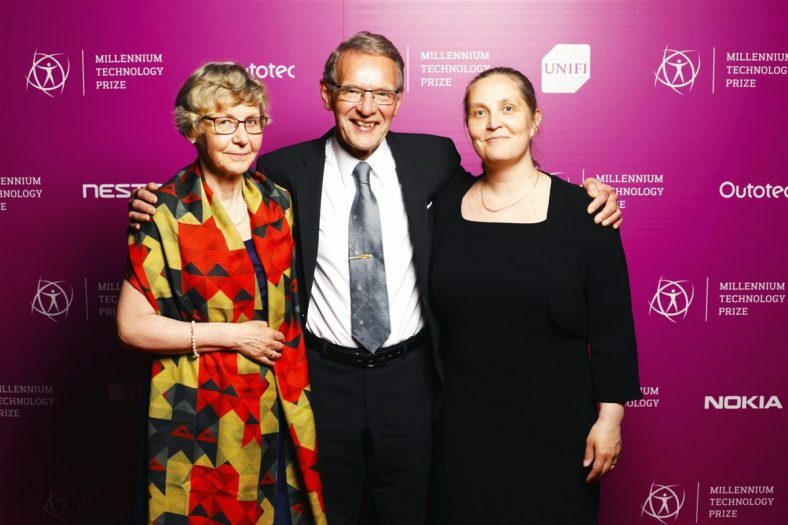 Professor emerita Outi Krause, Dr. Tuomo Suntola, and Prof. Riikka Puurunen at the 2018 Millennium Technology Prize gala dinner. 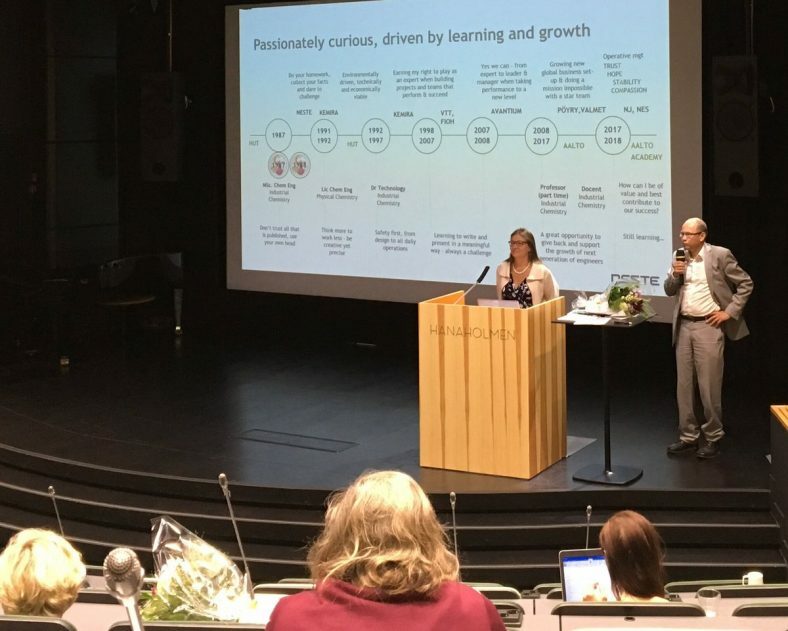 Photo: Technology Academy Finland, May 22, 2018. 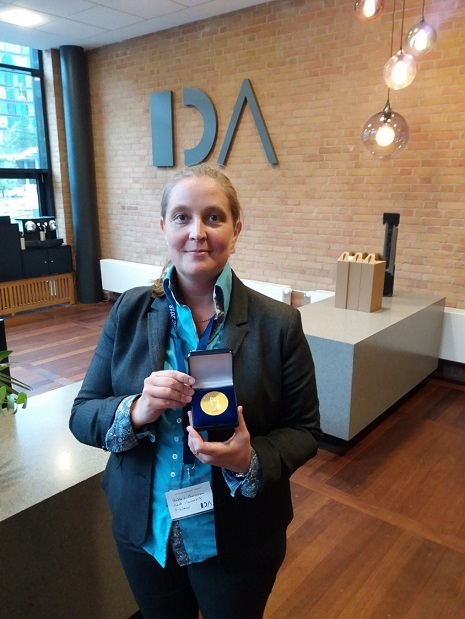 Congratulations to Dr. Marita Niemelä! Photo by Riikka Puurunen, 22.8.2018 (Twitter). More on Aalto CHEM news, 27.8.2018, by Helena Seppälä, copied for completeness below. 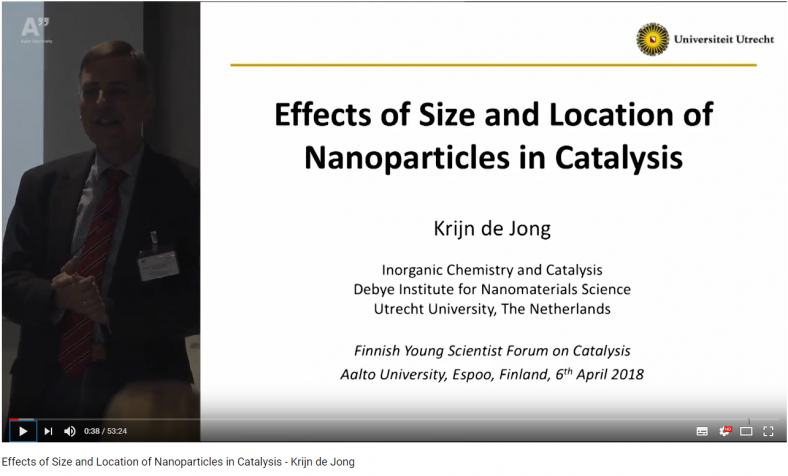 As mentioned in the previous blog post, Prof. Krijn De Jong from Utrecht University, current holder of the EFCATS Francoise Gault lecture award, gave an inspiring plenary lecture “Effects of size and location of metal nanoparticles in catalysis” at the Finnish Young Scientist Forum on Catalysis on April 6, 2018. The lecture was captured on video and is now shared through the Aalto University Youtube channel. Enjoy! Direct link: https://youtu.be/HjQUPhd6srQ. P.S. Another interesting Youtube video of Prof. De Jong, in the Utrecht University channel: https://youtu.be/Y7NCn8PIVpM. Video in Dutch, subtitles English. On April 6 this year, I organized the event “Finnish Young Scientist Forum on Catalysis 2018 (FYSFC2018)” for the Finnish Catalysis Society. In the newest Katse 1/2018 newsletter of the society, a report of the event is published by my colleague José Luis González Escobedo, who is a doctoral student at Aalto University. A copy of the report is reposted in Catalysis Professor’s Open with permission of the author and of the Finnish Catalysis Society. Last April 6, 2018, the third Finnish Young Scientist Forum on Catalysis (FYSFC) took place in Otaniemi, Espoo, organized by the Finnish Catalysis Society. The Forum is a relaxed, yearly event, where PhD students from Finnish Universities get the chance to present their work to their peers, professors, and other Catalysis professionals. 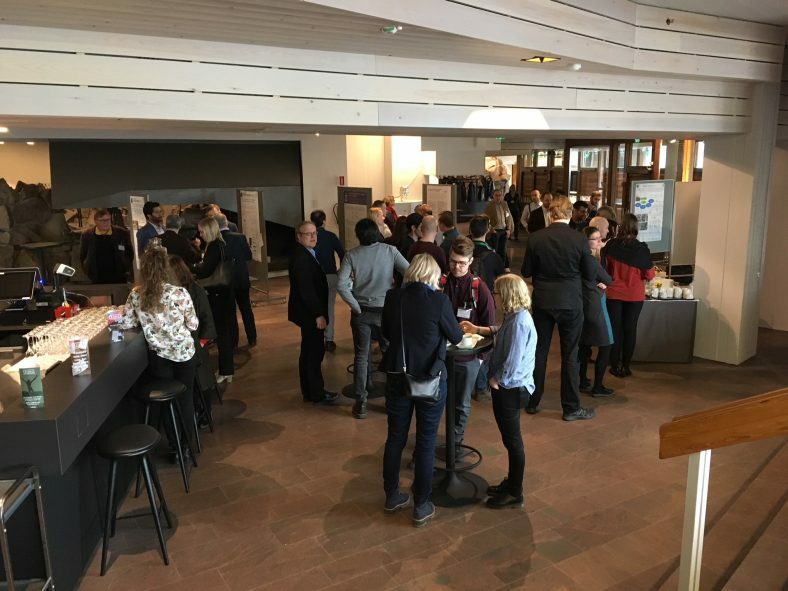 The event is also a great opportunity for the members of the Catalysis community in Finland to network and catch up with each other. This year, the organization of the Forum was in charge of Professor Riikka Puurunen from Aalto University. The venue was the landmark Dipoli building in Aalto University’s Otaniemi campus. Participants of the FYSFC 2018 enjoying a coffee break in Dipoli building’s Juhla-aula. Photo by Riikka Puurunen. In both courses, Panopto lecture capture was made. This feature was much appreciated by the students and can be recommended for other courses, too. That it is possible to share course feedback like this, I learned in the A!Peda Intro course in 2017, from Marko Keskinen’s model for the “Vesi & ympäristötekniikka” course. News item related to that course: http://www.aalto.fi/en/current/news/2016-10-27-003/ (also in Finnish). New article in press, by Mäkelä et al. 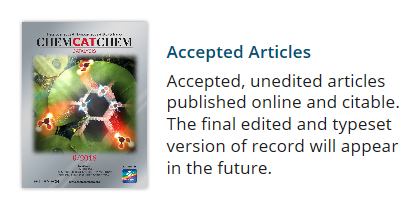 ChemCatChem, Published online 25th of April. Uncategorized	- Comments Off on New article in press, by Mäkelä et al.